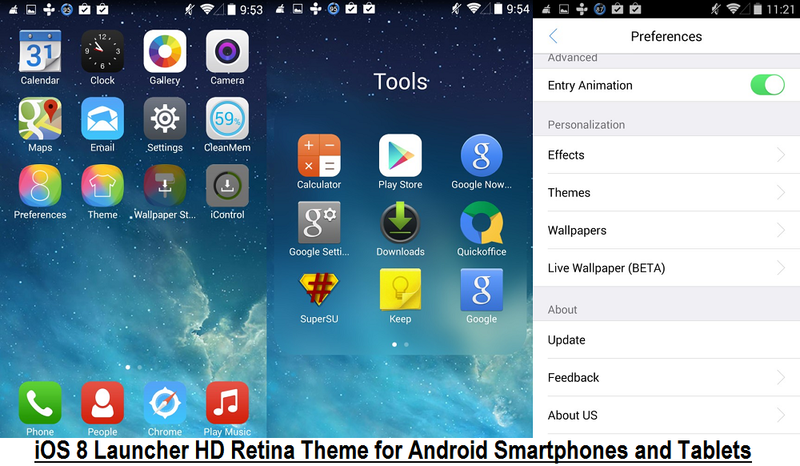 Android developer "HubertGu" has released its new iOS 8 Launcher HD Retina Theme App for Android smartphone and tablet device users to experience the features and functions of iOS 8 Firmware for Free. iOS 8 Launcher HD Retina Theme is powered by ONE+ (One Launcher) application. The official Direct Download Link of iOS 8 Launcher HD Retina Theme APK File for Android is available below. Android smartphone and tablet device users can free download iOS 8 Launcher HD Retina Theme from Google Play Store and as well as from third-party link source. Users can manually install an .apk installer file on any android powered phone.